Grassroots Writers’ Weekend Event Coffs Harbour 17 – 19 May 2019 Writing Workshops Open to all Storytellers! We would like to invite you to the 2019 Grassroots Writers’ Weekend hosted by Coffs Harbour Writers’ Group at the Coffs Harbour Community Village from the 17 to 19 May 2019. It is a fabulous weekend of hands-on, practical workshops held each year in our region. Starting on Friday afternoon and finishing on Sunday afternoon, the ‘doing’ sessions and conversations are available to everyone from school students to seniors, everyone who loves storytelling. Places are limited so please make your bookings early. The aim of this weekend is to provide affordable, practical workshops for the beginning, the aspiring, and the published writer. It’s only $25 for the whole weekend with a barbecue and dinner optional paid extras. Participants will also have the opportunity to have manuscripts and story pitches assessed for an additional fee by well-known editor and manuscript development consultant, Laurel Cohn. There are sessions on memoir and life writing; writing for children and young adults; murder mystery and historical fiction; flash fiction, short stories, blogs and competitions; writing craft such as perfecting your dialogue, structure and setting; using humour and imagery; making your characters and their relationships real; and techniques for effectively starting and finishing your manuscript (plans of actions and review). And there are sessions on editing and the final polish and how to get published, marketing and social media. Manuscript appraisals: Dr Laurel Cohn $80. Payments on day to Laurel. Manuscript sample (synopsis and first 4000 words) submitted by 8 May 2019 and 30 minute consultations with Laurel on Sunday 19 May 2019. Please see requirements. Paying for the weekend of workshops and optional barbecue and dinner: Indicate your preferred method of payment in your email or phone contact with Julianna. Choosing your workshops: There is a full selection of workshops for the beginning and experienced writer. Please choose your workshops by consulting the program and noting to Julianna with your payment so that we can accommodate your first choices. The Grassroots Writers’ Weekend hosted by Coffs Harbour Writers’ Group at the Coffs Harbour Community Village 17-19 May 2019 has something for everyone and is affordable and practical. Please note: The program is subject to changes beyond our control. Workshops for the Grassroots Weekend are filling up fast. ‘Not Just Poetry’ is already fully booked. Please give second and third preferences when booking. 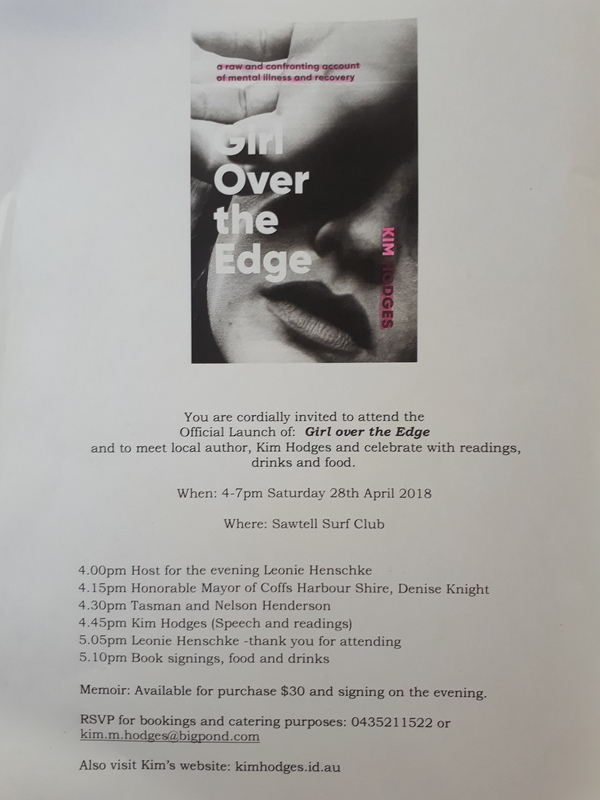 And don’t forget to register now for the fabulous Grassroots Writers’ Dinner on Saturday night 18 May at the Park Beach Surf Club. A great opportunity to mix with other writers, enjoy some general trivia and have a delicious meal. All for just $35 a ticket. Coffs Harbour Writer’s Group (CHWG) has a proud 32-year history of nurturing the writing skills of its members. On​ Monday 5th November 2018, we had the pleasure of presenting a tribute to those who laid the foundation stones of this valued community service. Members and guests had the pleasure of meeting some of our honored members from yesteryear; like our Life Members: Rosemary Nisted, Carrolline Rhodes, and Lorraine Penn. Both Rosemary and Carrolline took us on a journey of early days of CHWG and the benefits of belonging to an ​aspiring writers​ ​group. 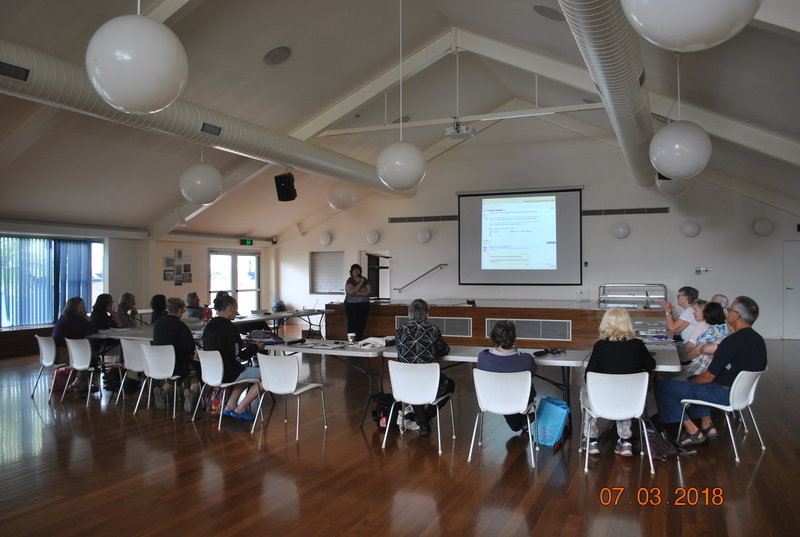 Lorraine​ spoke about the group’s achievements over the past several years, including the highly successful Grassroots Writers Weekend Event held in 2015 and to be hosted again by Coffs Harbour Writers Group 17 to 19 May 2019. Two of our long-standing members Les Farey and James Hall were awarded a 20-year Acknowledgement Certificate during the 7th August​ 2018 general meeting by the outgoing President Roger Harris. These two gentlemen have been wonderful supporters of our writers’ group for the past twenty years, which was formed in 1986. Congratulations Les and James, you are both legends. The Coffs Harbour Writers Group has changed its meeting day from first Wednesday of the month to first Monday of the month commencing 4th June 2018. 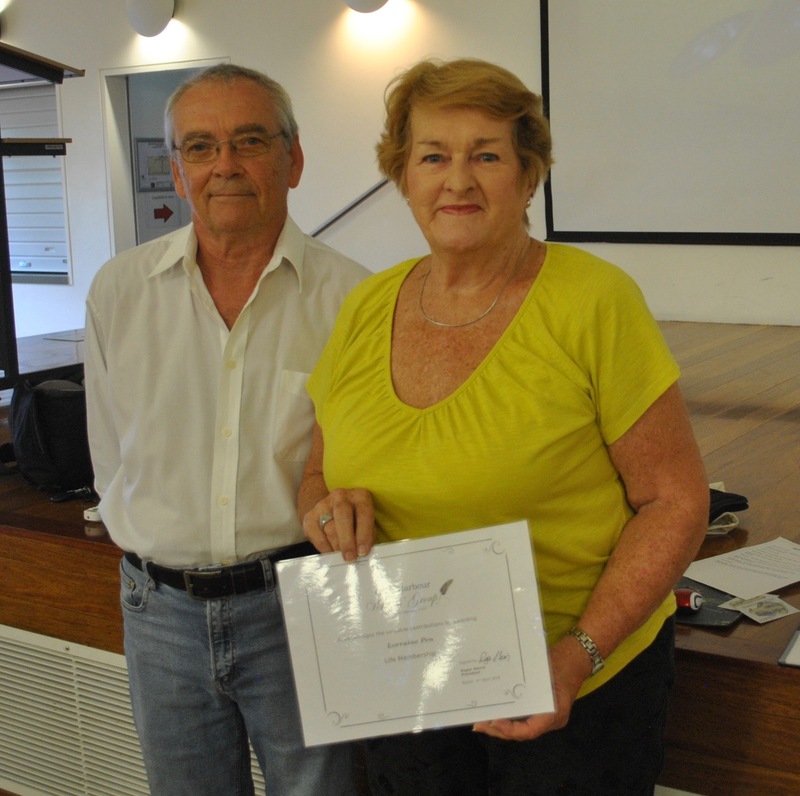 Lorraine Penn, a tireless supporter and former long-term President of Coffs Harbour Writers Group received a Life Membership award from current President Roger Harris in recognition of her enormous contributions to the growth and success of the group. Great news, Coffs Harbour Council will be hosting live streaming of this year’s Sydney Writers’ Festival into Coffs on Friday 4th, Saturday 5th and Sunday 6th May at Cavanbah Centre, not the Jetty Theatre as previous years. Program times and content details to be finalised shortly. Mark these dates in your must attend calendar of events.